As an Individual EDC Member you become part of a group of concerned citizens who use their voices to influence policies that make a difference in the lives of those affected by eating disorders. 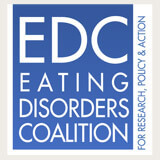 Find out how the EDC is working with Congress, federal agencies and national organizations to prevent and eliminate eating disorders, and receive alerts for how you can take action. NEDA established the STAR Program to legislatively advocate for awareness, education, early intervention and prevention programs, funding for research, and improved access for the treatment of eating disorders. STAR is driven by passionate volunteers who lobby for change by speaking with legislators, mobilizing members, and forging alliances with other groups who share our vision. You don’t need experience to make a difference! Contact [email protected] for more information. Passionate and dedicated volunteers bring about change. 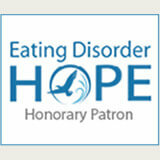 Your voice and actions can make a difference in the fight against eating disorders. 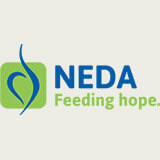 Interested in becoming a volunteer in NEDA’s STAR Program? Apply now! 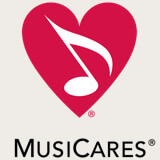 Contains a list of events, nonprofit, and ongoing research and how you can help. Mental Health America has been a leader in mental health policy and advocacy for more than 100 years. From working to pass the Mental Health Parity law to monitoring implementation of the Affordable Care, we are Most recently, we’ve focused on the implementation of Parity and the Affordable Care Act. 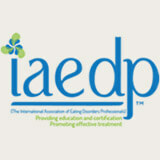 We’re a non-profit organization working together to end the stigma and discrimination surrounding mental illness through widely distributed public education materials and programs based on the latest scientific insights and measured for effectiveness. TAKE CARE OF YOURSELF FIRST! The best way to help others struggling is to be in recovery yourself. Just by overcoming this disease, you make the world a better place. You can’t help people if you’re not around to do it. Live and thrive. The world needs more happy, healthy people. In your group of friends, you can be the body positive advocate. Don’t put up with, much less encourage, negative body talk. Not about yourself, not listening to talking to someone else talk about themselves, not talking about a friend, not talking about a celebrity. Shut that business down. Help get rid of the stigma of mental health. Treat mental health concerns as real and valid. Challenge people who make fun of or stigmatize mental illness. Practice Empathy. Allow your struggles to give you insight to the suffering around you. Give other the people the gift if you listening to understand, or accept without judging. End the diet talk among your family and friends. Let them know that whatever they do is your business, but you don’t find it interesting. Be an example of intuitive eating. Show that it’s okay to savor and enjoy food, and that food doesn’t have to be “good” or “bad”. You can’t be what you can’t see. Show people what an intuitive eater looks like! Don’t believe everything you hear. Think critically about media and make your own choices. Help the people around you get in the habit of doing the same. Don’t buy everything you’re sold. Your money talks. 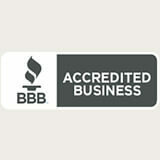 Use it to support companies and products that support a healthy lifestyle. Don’t give your business to people who use it for harmful purposes. Share your story. You don’t need to be a professional speaker to share your story. It may be one-on-one or to a classroom or other gathering, but you can share your struggles and how you overcame them. Think of the stories that have helped you in recovery and how you can pass that on. Reach out to people who are struggling with similar issues. 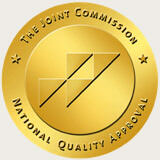 That may be through attending groups and offering support, or being a mentor, sponsor, or recovery coach. One of the best ways to strengthen your own recovery is to share your experience, strength, and hope with others in recovery. Protect your boundaries. Being an advocate doesn’t always mean telling everyone everything. By demonstrating healthy boundaries, and sharing only when it’s appropriate, helpful, and safe, you protect yourself and the people around you who may not be ready to hear your story. 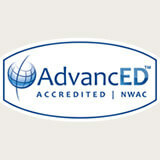 Share your insight and the skills you have learned in recovery. Without ever mentioning the words “eating disorder”, you can share the things that you have learned that made recovery possible, like problem-solving, self-soothing, or communicating assertively.